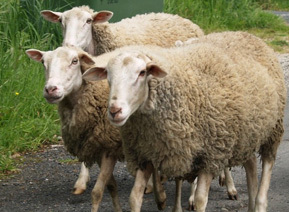 Traditional breeds and farms located in the region of Castile and Leon for the production of top-quality sheep’s milk. Our product is subject to the strictest health inspections on a regular basis, which allows us to ensure the quality of our raw material: sheep’s milk. 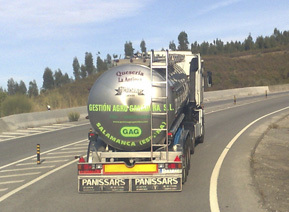 After milking, the product is kept in cooling tanks and daily delivered to our facilities in refrigerated tankers that ensure the preservation of all its qualities. Subject to the strictest quality assurance controls at both the time of collection and when it is unloaded, we ensure that our sheep’s milk meets the highest food security standards. We guarantee that our milk is fresh and natural, free of inhibitors and unmixed, with adequate levels of acidity and pH, and at the right temperature. Facilities certified since 2007 by LLOYDS REGISTER QUALITY ASSURANCE LIMITED, by BRC GLOBAL STANDARD FOOD, and since January 2008, by INTERNATIONAL FOOD STANDARD (IFS). We have a variety of clients and, throughout the year, we serve not only large-, but also medium- and small-scale factories, promptly complying with the scheduled delivery dates. 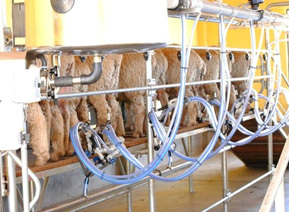 At GAG we want to work with you to meet your annual sheep milk demands.